Taylor Hubiak, a sophomore business management major, contributed to the chalk drawing. 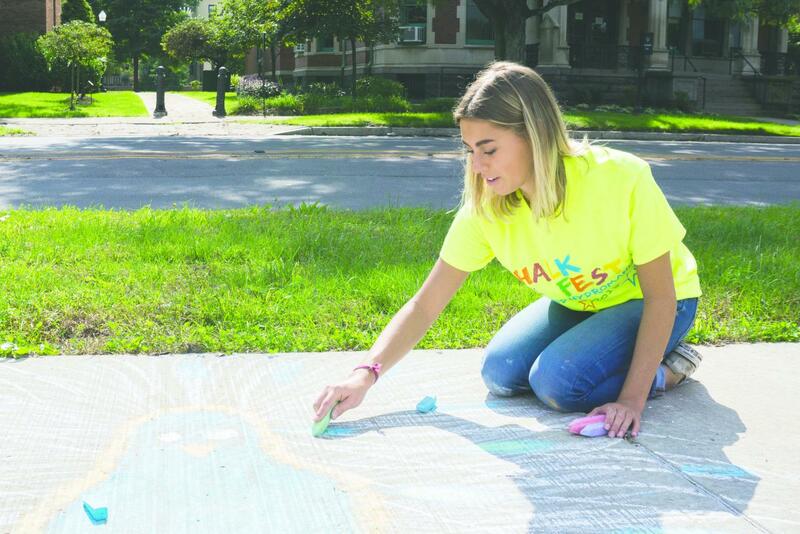 On Saturday, Sept. 29, Wilkes-Barre, with the help of the ChalkFest and Hydromania organizers, attempted to break the Guinness world record for the longest chalk pavement drawing. Greely, Colo. currently holds the record with a three and a half mile drawing, and the City of Wilkes-Barre and the volunteers are hoping to beat it. 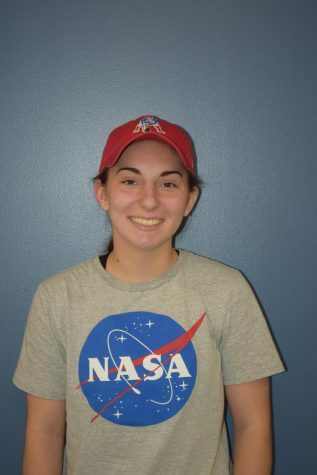 Taylor Hubiak, a sophomore in business management at Wilkes, volunteered at the event through her internship at City Hall and expressed her feelings about the world record. “I am very excited,” said Hubiak, “I think we are [going to break the record]. We have some pretty competitive people here. More than two dozen volunteers helped pass out more than 3,000 boxes of chalk to all their registered participants to help facilitate the breaking of the world record. All ages from all over the greater Wilkes-Barre area participated at the River Common to work together in a common goal, to break the world record. Joanne Rayanis of Plains, Pa. decided to draw a blue herron and a portrait of a younger girl. John Maday, Executive Director of the River Front Parks Committee, is one of the organizers of this ChalkFest, and the eight others he has held to promote environmental education through this larger committee. The River Front Parks Committee is an environmental education organization. They teach the general public through these public, and fun events to attract a lot of people. Their “classrooms” are set in places along the Susquehanna rive like Kirby Park, the River Common and many others. At a typical ChalkFest, Maday had said they average about 400 to 500 people to attend the event. This year they expected anywhere from 1,00 to 1,500 people to help break the record. “We also see value in engaging the community in these types of events,” said Maday. “There is so much acrimony in the world especially in this hotly contested political season,” which he hopes to set aside with this community-building event. “What you’re going to see today is people coming from everywhere and enjoying themselves,” said Maday. When the committee first started ChalkFest, they realized if you put people together, they would come together and converse. In all following ChalkFests, Maday had purposely designed the layout of the available concrete space to get families and other participants to interact with each other. “It’s that kind of harmonious event that we are putting forward,” said Maday. Aside from the main event of the world record, the event had different exhibits set up to help further educate volunteers and participants. There were many environmental exhibits and tables held at the event to further drive this goal of environmental education among the public. There was also a voter registration booth from Luzerne County to get people signed up to vote in the upcoming mid-term elections in November and a table for a a local food drive for the Weinberg Food Bank in Pittston, Pa., was stationed by the chalk table. Participants, volunteers and supporters are the reasons Maday says an event at this caliber would go on today. Maday compared the three components of ChalkFest to the three legs of a three-legged stool. Each one of these legs are essential to keep the structural soundness of the stool. Without even one of these, the stool will not stand. The stool’s legs resemble the components as with none of these, said Maday, ChalkFest would not be able to succeed and break this record. They would not be able to educate the public of the environment much like they were able to on Saturday. “We will continue to do this as long as we have those components,” added Maday. Nicole Wilson and her daughter from Plymouth also joined the communal crowd for the world record at the River Common for their first ChalkFest. “It sounded exciting because of the potential to break a world record,” Wilson said about her interest in the event. Wilson had seen the event advertised on Facebook where they were asking for volunteers to help and thought it would be a fun event for her and her daughter to be apart of. They especially hoped they would become apart of history. 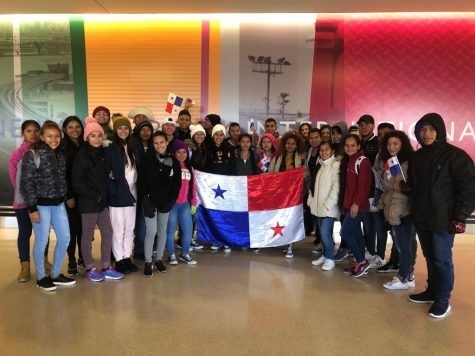 She was especially suprised that the event was up for a world record, mainly because of how obselete and hidden Wilkes-Barre is to others within not only the United States, but the world. 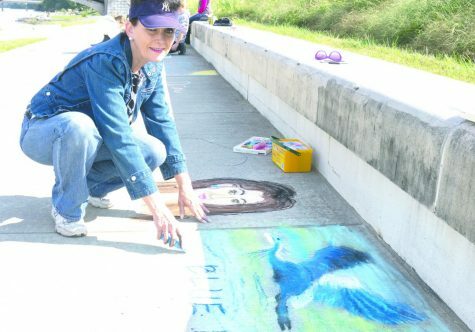 The decision and ruling by Guinness will not be decided until later next week as the judges have to assess the length of the chalk drawing and many other factors involved with the event.